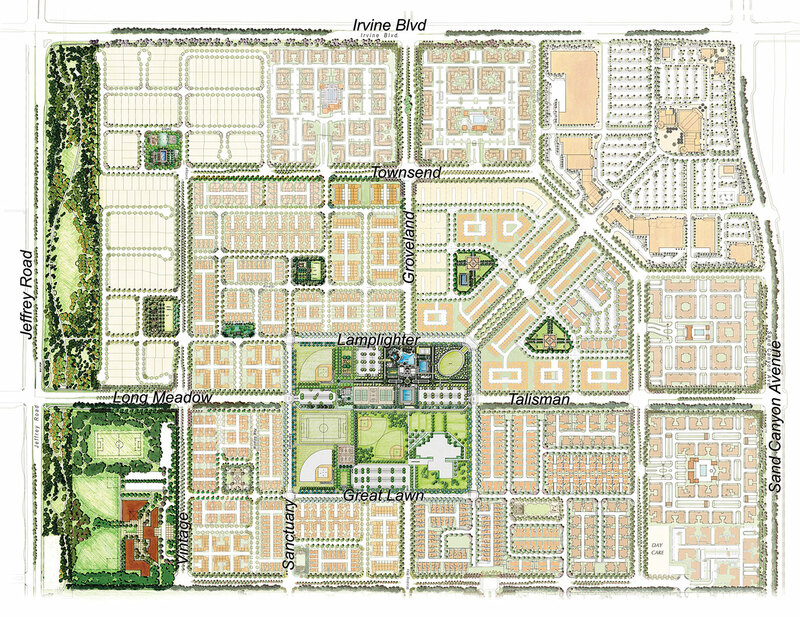 "Master Planned Community of the Year"
Woodbury is a 70-acre parcel of a master planned community for Irvine Community Development Company, a subsidiary of The Irvine Company. The Team, made up of JZMK, SWA, and BAR Architects, envisioned Woodbury to be a series of traditional, smaller-scaled neighborhoods within the context of several large, multi-use Districts. This neighborhood structure of higher density attached housing defines critical edges, transitioning to lower density single family detached housing at the two core neighborhood parks. A central village park serves the entire community, and includes an athletic club and a variety of play fields that are within walking distance of every home.